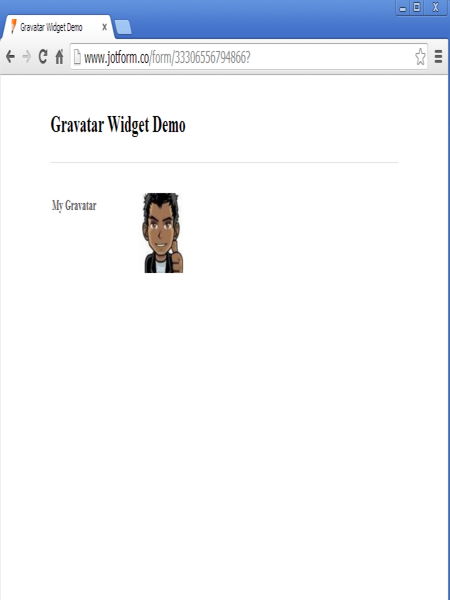 Meet Jotform Gravatar Widget, a simple tool to add gravatar to your form. 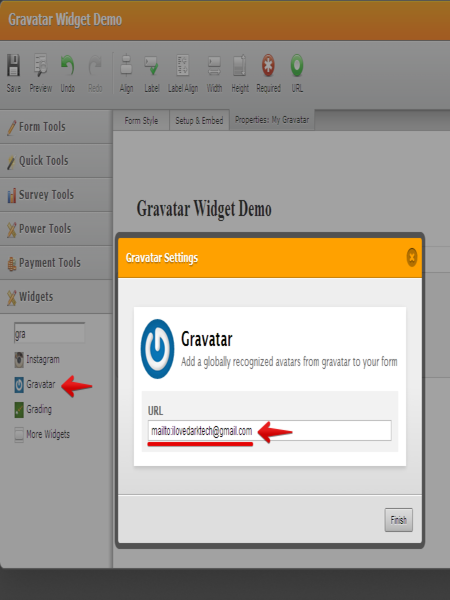 Just enter your email on the URL box appended with mailto: e.g. 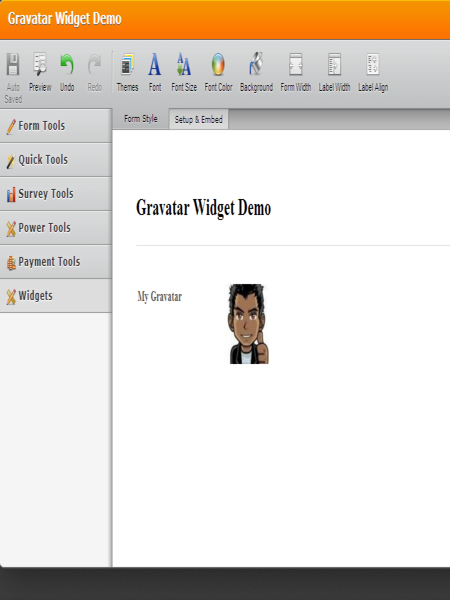 mailto:support@jotform.com, and your gravatar is ready!